The first wave hit at 0758 that morning. There was no warning, no chance to run, not even a chance to say goodbye. It tore through buildings, trees and lives with equal savagery. The train had just been in the wrong place at the wrong time, ripped from the tracks by a ten-metre wall of water that had hit the coast at some 800 kilometres per hour. Nearly 1500 people lost their lives on the train that day. 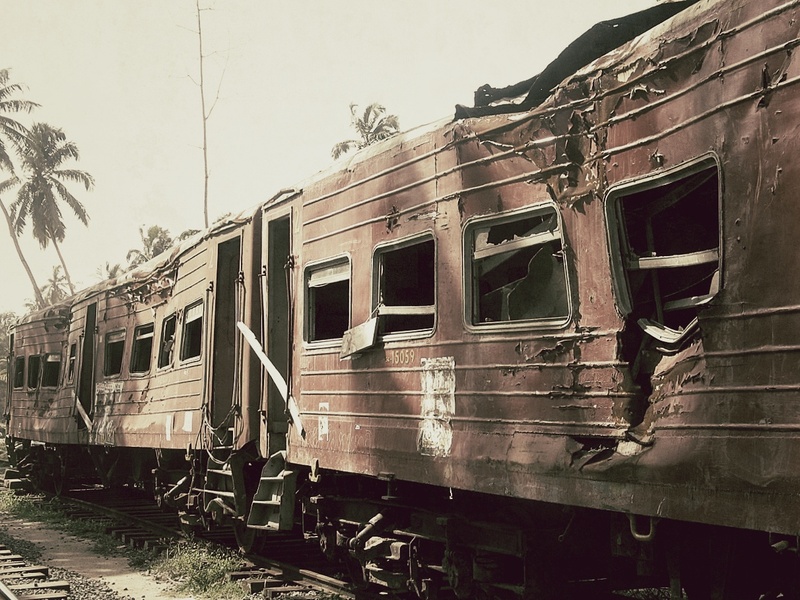 Six months later I stood before the mangled wreckage of what had once been the Galle-Colombo express, now a twisted and permanent reminder of the Asian Tsunami that had rocked the world on 26 December 2004. An unstoppable and unquenchable wall of water, it had ripped apart the lives of millions, from the western coast of Thailand, to the shores of Somalia in eastern Africa. The human tragedy had been incalculable. Estimates put the dead at 226,000, around a third of them children, whilst nearly five million people had lost their homes, along with their access to food and drinking water. 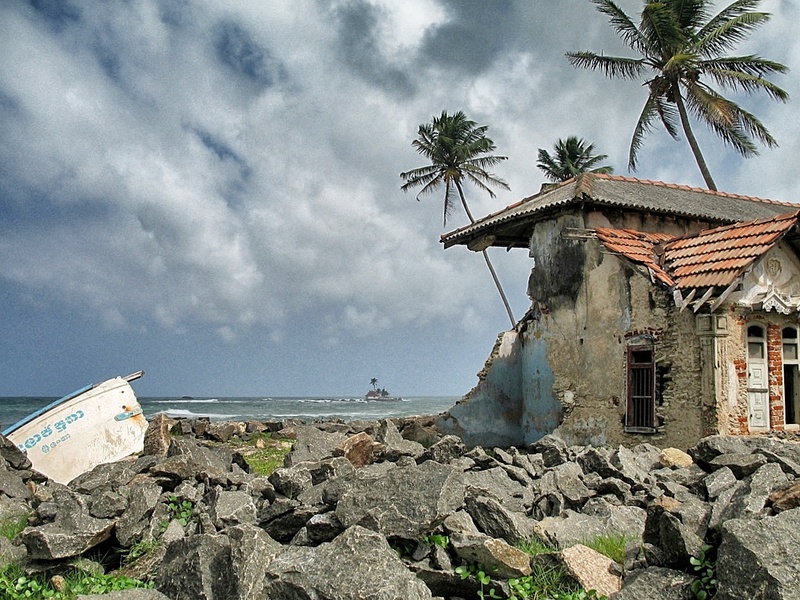 The spot I stood on, a small fishing village called Peraliya, on Sri Lanka’s south-western coast, had been one of the worst hit areas and the sense of loss and devastation still haunted the scattered remains of the village. The authorities claimed that 1,000 people had died here, but local aid workers and residents put the figure closer to 2,500. They were buried close by, next to a main road along which life continued to hurtle by at breakneck speed. I had arrived a few days before to help project manage a rebuilding programme, just one of many being set-up throughout the region by a wealth of international aid agencies and charities. In spite of the media circus that had followed in the wave’s destructive wake though, nothing could prepare me for the true scale of the disaster that awaited me. Before the tsunami, Peraliya had been a sizeable community of some 420 homes, within minutes of the first wave hitting it had been reduced to a pitiful collection of just ten forlorn looking houses. 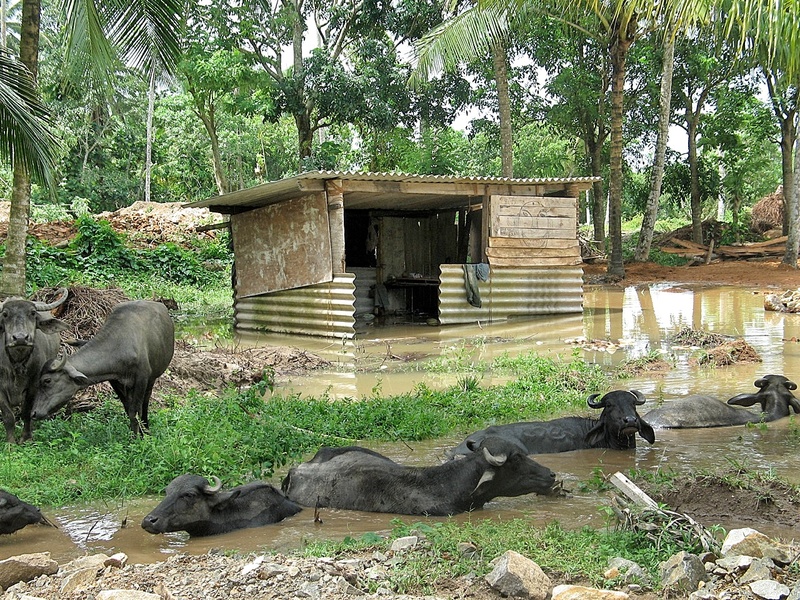 Many of its survivors still lived in tents or makeshift shelters and some, like Manjou, were crowded into small wooden shacks, around which were gathered their few remaining possessions. Manjou could probably be described as one of the lucky ones – he had survived after all – but his story was to become an all too familiar lament during my time there. The first wave had deprived him of his home, his job and, tragically, his younger sister. The second wave hit whilst he and his two brothers were out looking for her. That was the last time he ever saw them. Manjou was swept two kilometres inland by the force of the water and by the time he returned to his village everything he had ever known was gone. He was forced now to spend his days making small wooden boats, which he sold to buy rice to feed what was left of his family. It was people like Manjou I was out there trying to help. Working in conjunction with groups of volunteers, my job was to try to help the process of recovery and regeneration along. Six months had gone by and the international outpouring of grief, money and support had failed to materialise into anything concrete, in a very literal sense of the word. As I looked around at the job in hand I had to admit to a sense of overwhelming impotence and I wondered just how much I could do in the short time I was due to be out here. I was managing teams of complete strangers, and in some cases complete novices, people, who in the world beyond this tragedy were human resource directors and civil engineers, lawyers and post-room boys. The plan was to build small basic homes, nothing fancy, just four walls and a roof, but something that would restore some dignity back to these people’s lives, something tangible that would show them that the world hadn’t forgotten. Something they could call home. It was hard and tiring work. The monsoons had arrived a few days before and the normally dry earth was fast becoming a quagmire and, with temperatures breaking 100°C and humidity in the high 90s, we were faced with an almost Herculean task. The resident water buffalos didn’t seem to mind though and, in spite of the heat, we were dragged along by the infectious enthusiasm of the local families, who it seems were made of sterner stuff than us. Their quiet resolve and determination and their cheerful smiles were to become a regular feature of my time there and a constant source of wonder to me. Slowly the impossible began to happen. Foundations were dug and floors laid. Walls were built and rooms began to take shape. Some of the families even took to sleeping inside the houses at night, lying amongst the shovels and trowels as if afraid that the darkness might swallow up their new homes completely. Over the coming weeks the rains subsided, the ground dried out and the buffalos moved on. Life took on a regular routine and, as the days progressed, the task started to yield tangible results. The heat and the exhaustion were replaced by a will to succeed and the desire to help people who had by now become, if not friends, then at least part of the team. It was no longer us and them, it was now just us! My time came to an end all too quickly though and, in spite of all I had tried to do, I couldn’t help but feel an overwhelming sense of frustration. I couldn’t help but wonder just how long the world would continue to help, before another disaster took centre stage and the politicians moved on to another sound bite. Sri Lanka has long captivated the hearts and minds of visitors to its shores, from the ancient Greeks and the Romans to the Arab traders and the European colonists. Marco Polo once declared it the finest island in the world and during its turbulent history it has been known by many names – Serendib, Ceylon, The Resplendent Isle, the Pearl of the Orient and, what must surely be its most poignant epithet, the Teardrop of India. The Sri Lankan people are a resilient and resourceful race, but everywhere we went there was the constant reminder of the tsunami. We couldn’t escape it. It was etched into the walls of the buildings and the faces of the people. Ten years on and I wonder how much has changed. The world has moved on since those tragic events of 2004. The media and the politicians have indeed found new soundbites to regale us with. 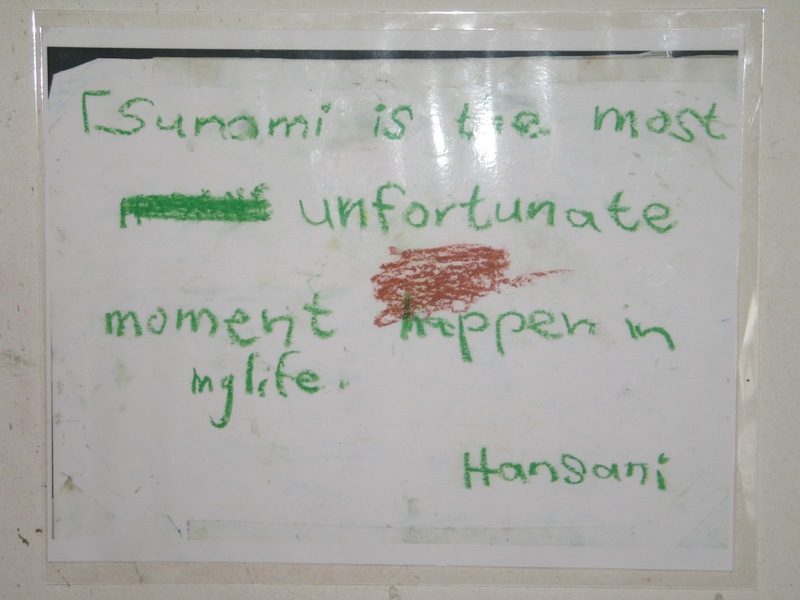 Hurricane Katrina was followed by devastating earthquakes in Kashmir, China and Haiti, whilst the Japanese tsunami of 2011 brought back, all to vividly, memories of the carnage wrought across the Indian Ocean seven years previously. I never managed to get back out to Sri Lanka, but a couple of years ago I saw first hand the destruction of Port au Prince after the Haiti earthquake and it reminded me of the words of an aid worker that I had spoken to on the day I left Peraliya. She had almost single-handedly been trying to nurse the village back to life and her parting words as I boarded the bus and took one last look back at the wooden shacks and tented villages have always haunted me.